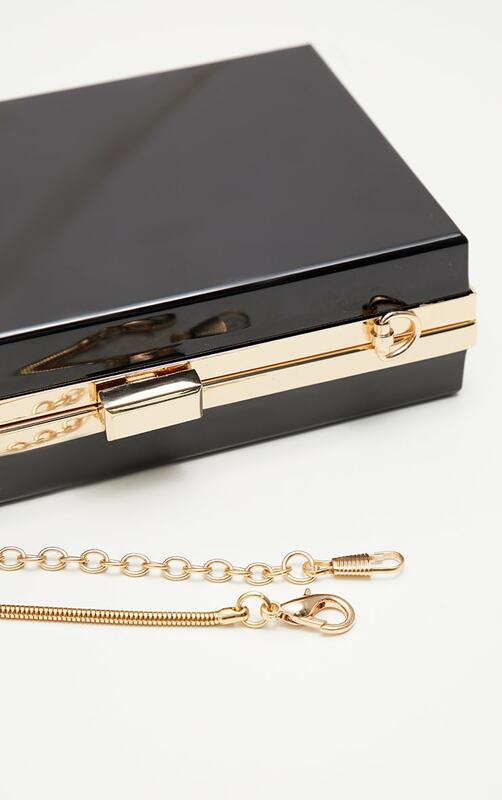 This clutch is perfect to complete any weekend worthy look. Featuring a black hard plastic material with two adjustable straps and a clasp fastening. 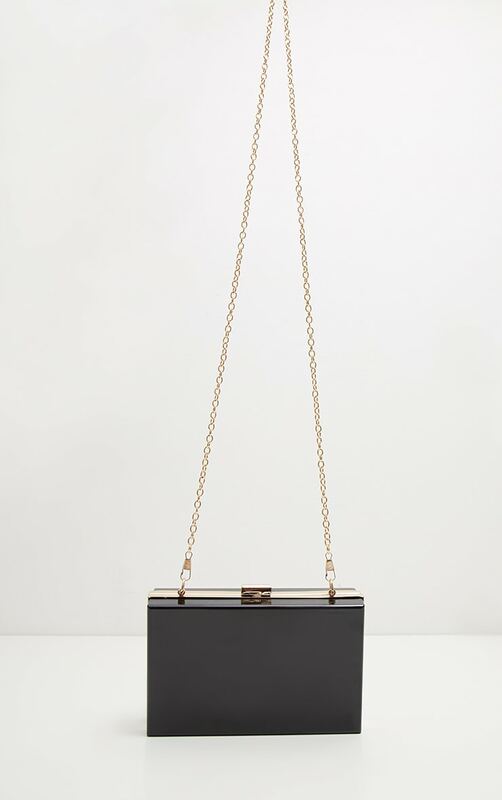 Team this bag with a bodycon dress and your highest heels for a look we are loving.